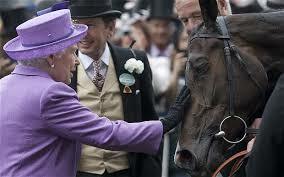 Royal Ascot is still in full swing but the most thrilling race of the meeting for us has been run yesterday. UPDATE: Irish Kind wins at Maisons-Laffitte and is Khatelas second winner of the week! 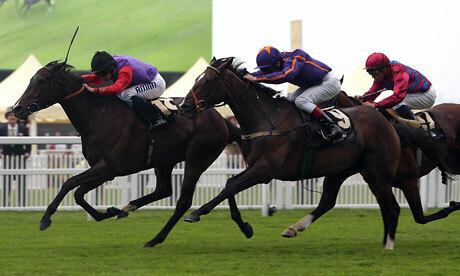 The Aga Khan bred filly Estimate (by Monsun ex Ebaziya) wins the Ascot Gold Cup for the Queen and Sir Michael Stoute. Second is the tough Simenon (Marju ex Epistoliere), trained by Willie Mullins, Johnny Murtagh up and third is Joerg Vasiceks Top Trip. 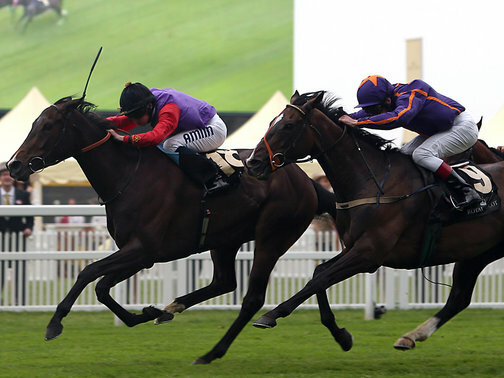 Both our new mares Ezalli and Lettre Spirituelle have a pedigree update after yesterdays thrilling victory of Estimate in the Ascot Gold Cup and Simenons courageous second place. This was the first win for Her Majesty in this historic race and her first Group 1 winner since 1977 when Dunfermline won the St Leger. 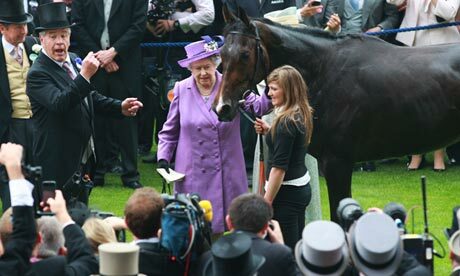 She now has owned an amazing total of 22 Royal Ascot winners since her first one which was Choir Boy in 1953 and most of them were homebred as well. Ezallis dam Ezilla and Estimates dam Ebaziya are full sisters by the great broodmare sire Darshaan, and so are Lettre Spirituelles dam Epistole and Simenons dam Epistoliere (both by Alzao). Simenon will now be aimed at the Melbourne Cup. But our warmest congratulations go to Diana and Joerg Vasicek who own the beautiful and hugely successful Kenilworth House Stud near Clonmel. What an achievement to own and breed one of the best current young staying horses in Top Trip (Dubai Destination ex Topka by Kahyasi). 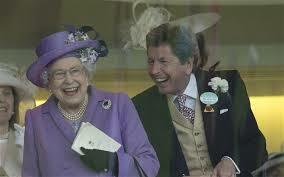 A delighted Queen and with her racing manager John Warren. 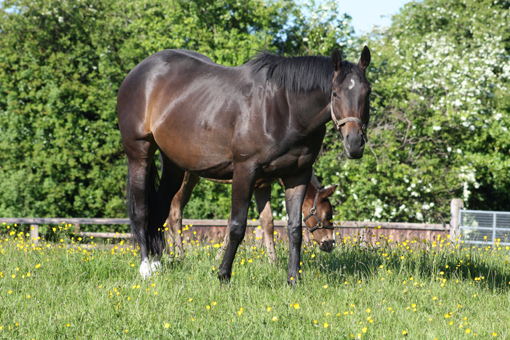 Lets hope the nice Lawman colt and his mother Ezalli can live up to expectations! June is shaping into a lucky months for us and our homebreds continue to run well. Busted Tycoon notched up a hat-trick when winning very easily again in Uttoxeter on Wednesday. Congratulations to trainer Tony Martin, rider Denis O Regan and owner John Breslin. 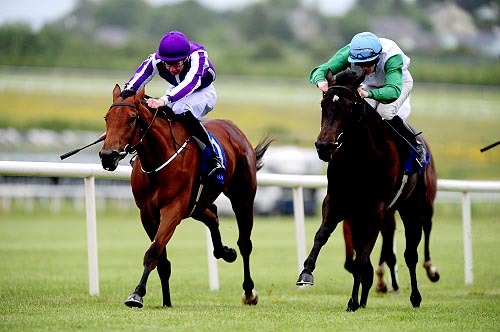 Bluebell (owned by Coolmore and trained by Aidan O Brien) who won her maiden at Limerick last week will be seen in Stakes company next. Update: Khatela follows up with her second winner of the week in the shape of Irish Kind by Cape Cross, who wins a conditions race at Maisons-Laffitte this afternoon. Congratulations to trainer M Delcher Sanchez, owners Sunday Horses Club and rider Stephane Pasquier. This is our fourth win in the space twelve days ! Beautiful Bluebell in full flow. Photographs by Healy Racing and Peter Mooney.